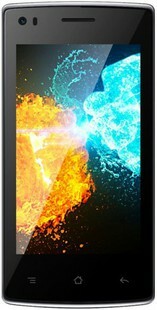 The Rage Marvel is a basic smartphone that comes at pocket friendly price. Does it have something better than its competitors? Not really. Yet, if you are searching for something under the budget of INR 5000, this isn’t a bad choice. To enhance the graphical experience, the phone comes with a Mali 400 GPU. To top that, one can store up to 32GB of multimedia files on this phone. For imagery, it sports a 5MP rear camera. And to carry on all these functions, the phone packs juice in a 1350mAh battery. As far as the design is concerned, it is 9.6mm slim and is quite light. As we mentioned earlier, there is nothing special about this device. But we don’t have much to complain about it either. At INR 4799, we feel the Rage Marvel is slightly overpriced. Rage Marvel full specs and reviews as of Apr 2019. Buy it here!